Our culture is obsessed with perfection. There’s pressure all around us to have the perfect body, the perfect house, the perfect baby stroller, the perfect kids with the perfect grades. Even those of us who know that striving for perfection is unrealistic and unattainable still sometimes buy into the idea of a perfect standard, and then feel bad about ourselves when we don’t measure up. 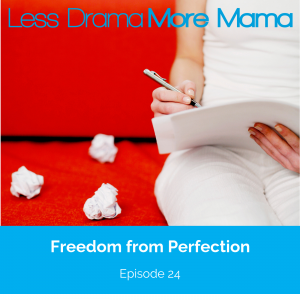 In today's episode, I talk about how perfectionism holds us back from achieving success and how to overcome it.